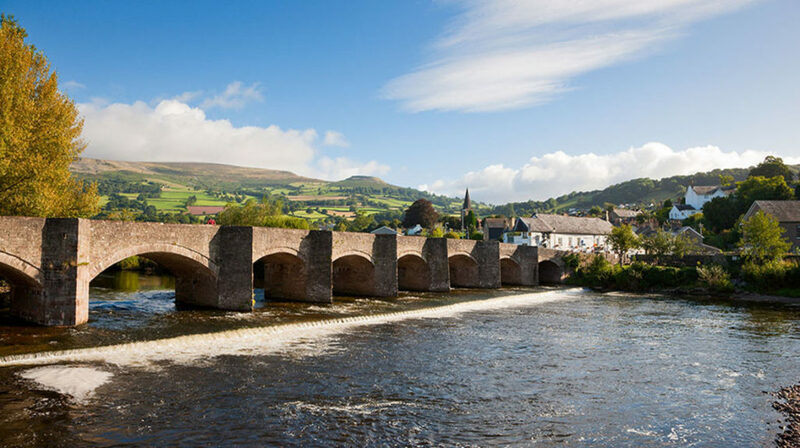 Eagle eyed guests might have recently spotted the beautiful Crickhowell bridge on the news in the last few days, as Storm Callum brought high waters to the town, briefly cutting Crick off from everywhere and turning it into an island, separated from Llangynidr and also along the A40. Here are some of the photos I saw on facebook from Crickhowell in Photographs which help to give a better idea of what it was actually like, and how much water there is when the river is swollen with floodwater. The water is subsiding today, but you can see this excellent drone footage of the River Usk in full flow a bit further downstream at Abergavenny (near the Waitrose roundabout) from Sky Shutter Media. Next time you’re in the Bridge End at Crickhowell (presumably it’ll have dried out by then), they have marks on the wall that show previous times the river has burst its banks through history.